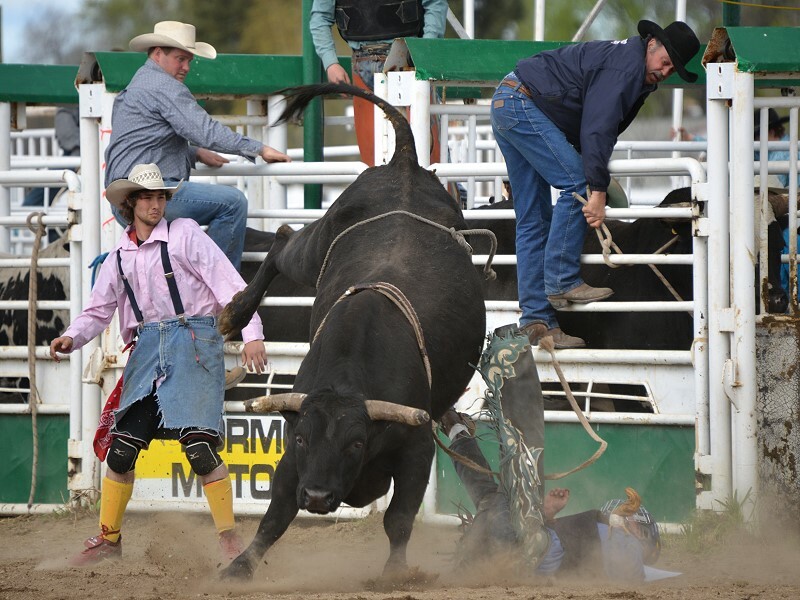 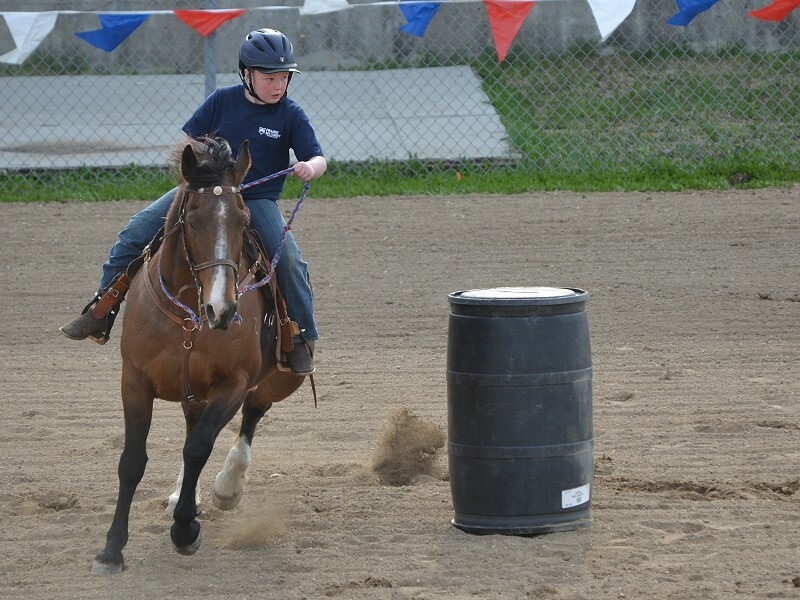 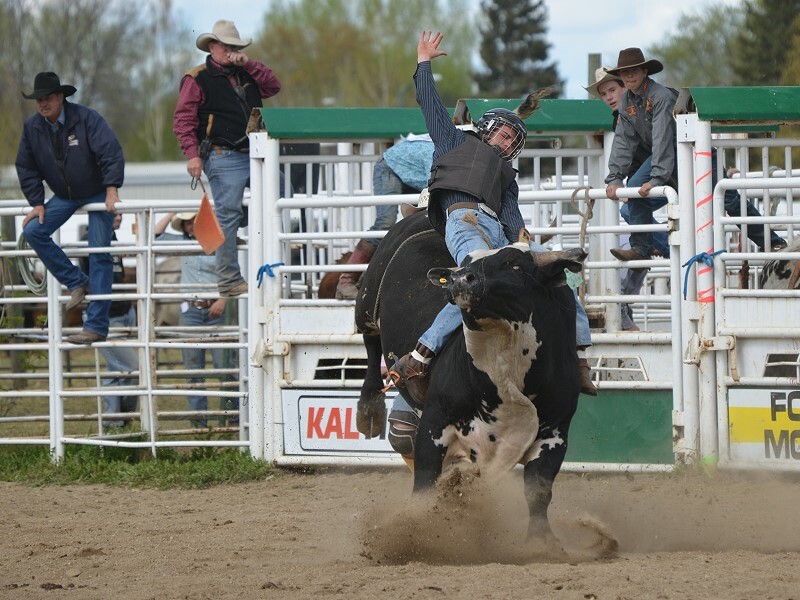 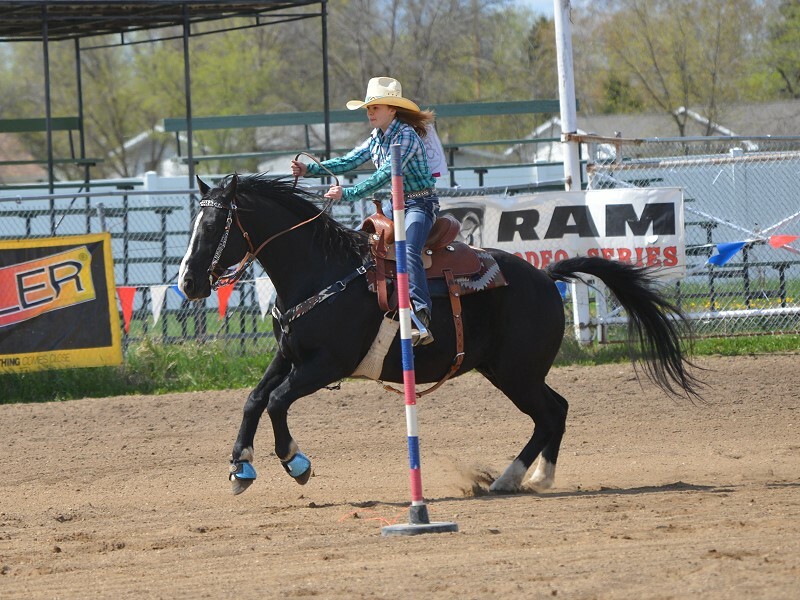 On May 13 – 15, 2016 Swan River was host to Manitoba High School Rodeo (HS Rodeo), Little Buckaroos Rodeo & Manitoba Barrel Racing. 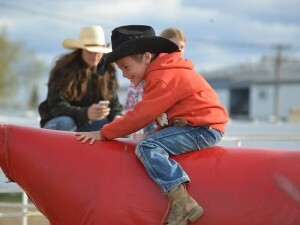 We started the weekend with a MBRA race, there were 29 entries between the Open, Youth and Peewee. 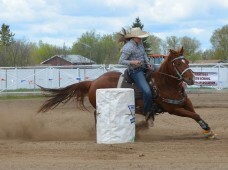 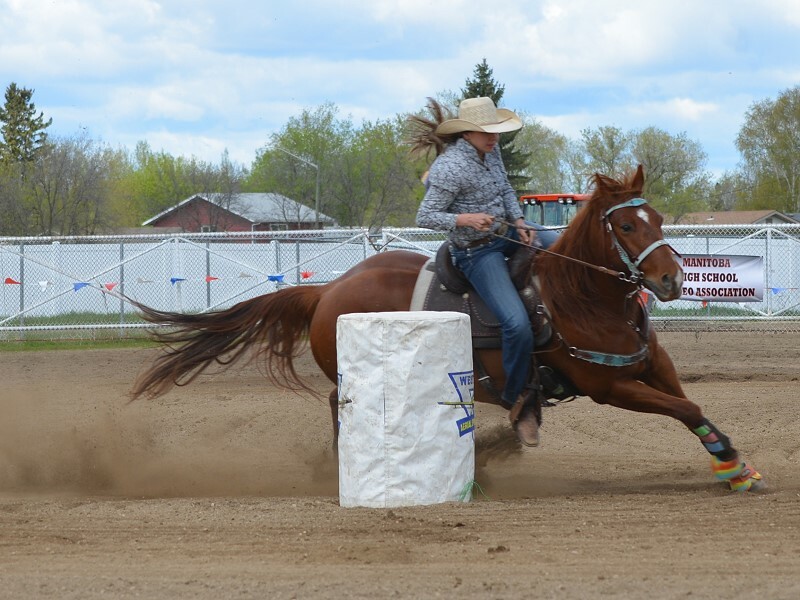 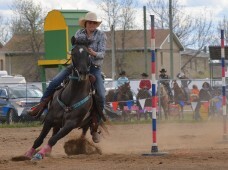 Swan Valley HS Rodeo committee sponsored $500 added money to the Youth Race, which was won by Jessa McNabb from Esterhazy, SK. 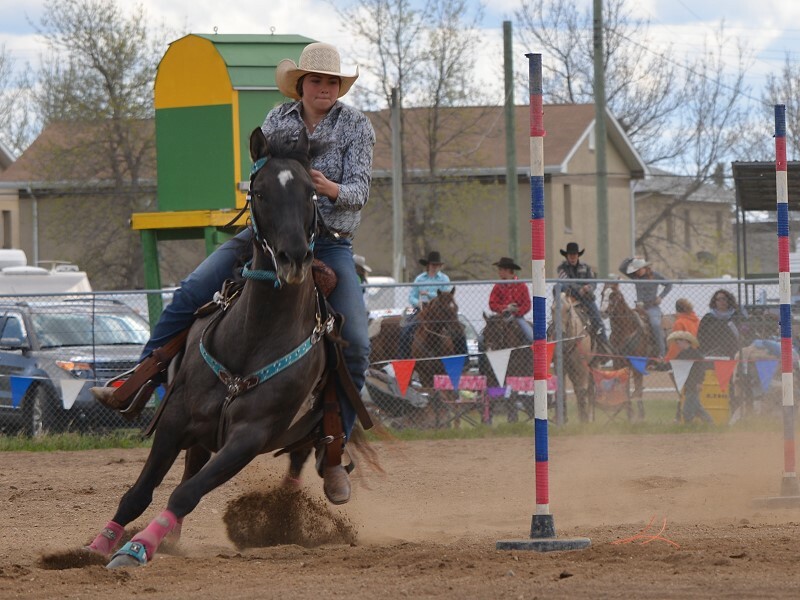 The Open was won by Nicole Lanski of Esterhazy. Saturday morning the Light Horse & Pony Club hosted a pancake breakfast on the grounds, this was well attended. 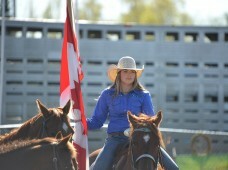 The HS Rodeo kicked off with the grand entry of the Rodeo royalty and flags of the rodeo sponsors. 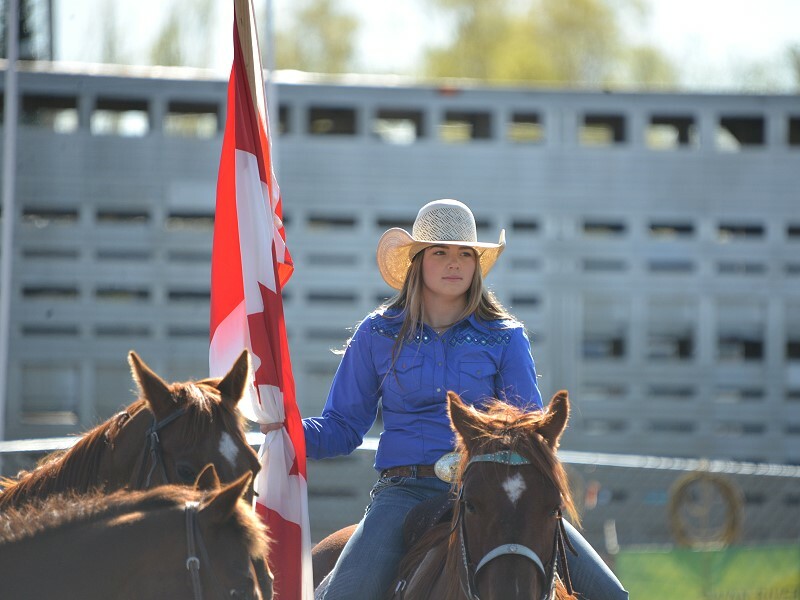 Jenna McKay carried the Canada flag for opening ceremonies. 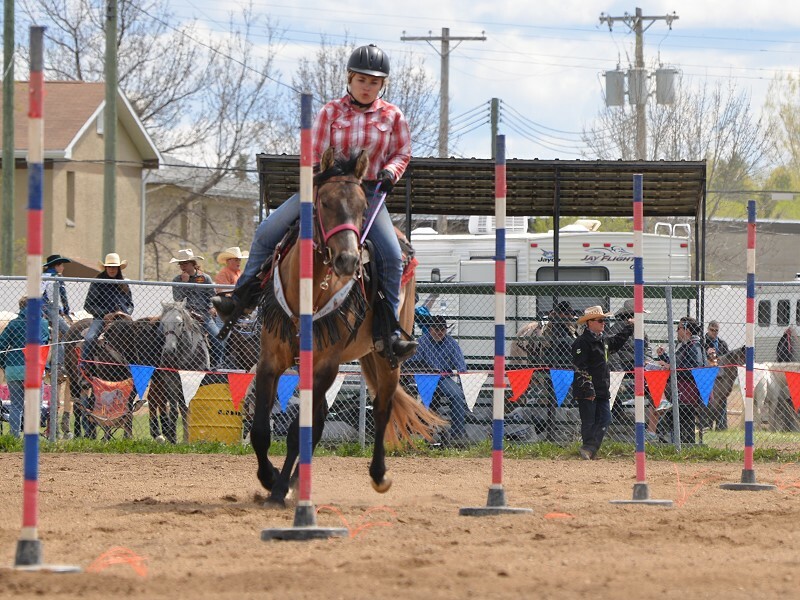 Local Kids that participated in the HS Rodeo were … Jenna McKay, Madison Rausch, Chloe Bardarson, Kaylee Keefe, Corbin Legebokoff, Morgan Legebokoff, Robin Seib, Fred Seib, and Zackery Machan. 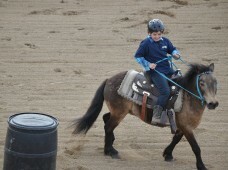 Saturday afternoon was the Little Buckaroos time to shine. 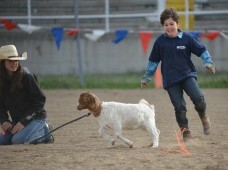 We had 6 events for the kids in Kindergarten to Grade 5 to compete in. 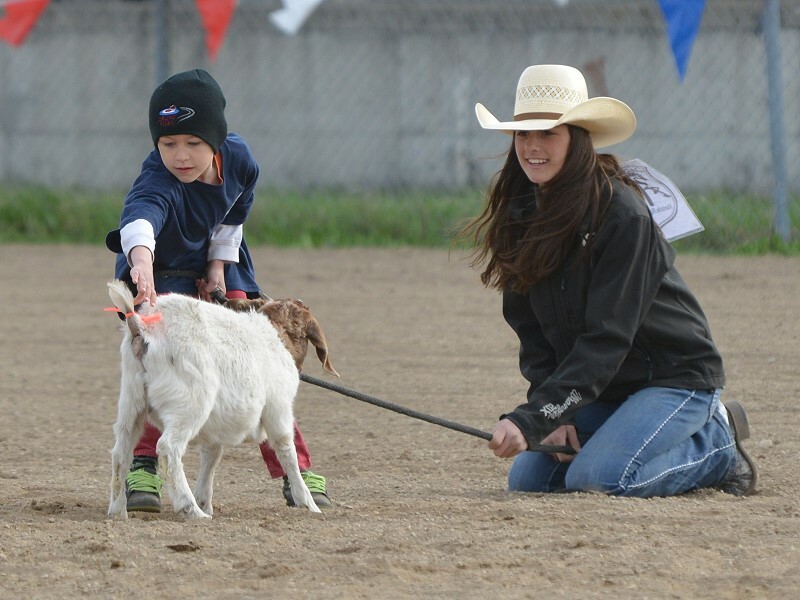 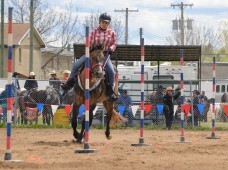 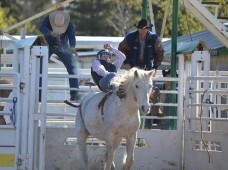 With 20 local kids and 7 siblings of HS Rodeo contestants, the stage was set for a great time. We had Mutton Busting, Barrels, Poles, Goat Un-decorating, Goat Flipping, Bucky Riding and Dummy Roping. 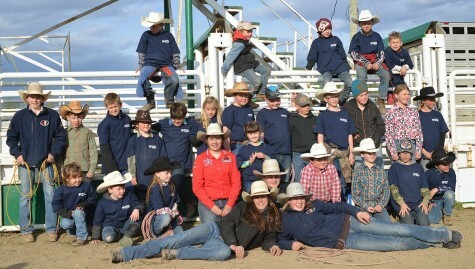 All the kids received a T-shirt for participating, these shirts were made possible by sponsorship by Prairie Security. Many of the JR High School Rodeo kids help run the little buckaroos, from Announcing to setting up events, it would not have been possible without their help. On Sunday, the 2nd day of Rodeo started to sunny skies and great crowds, we would like to thank all the spectators that came out to watch the action the kids really appreciated the audience. 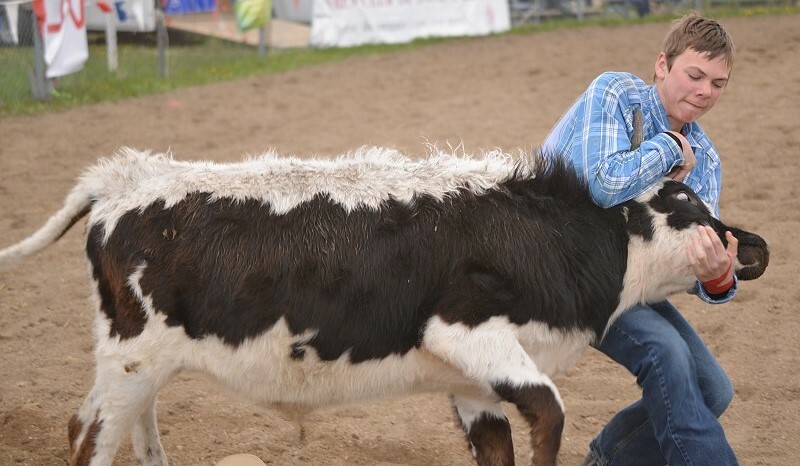 A huge thank you to all our sponsors, we could not have such a successful weekend without the overwhelming support of the Swan Valley sponsors. 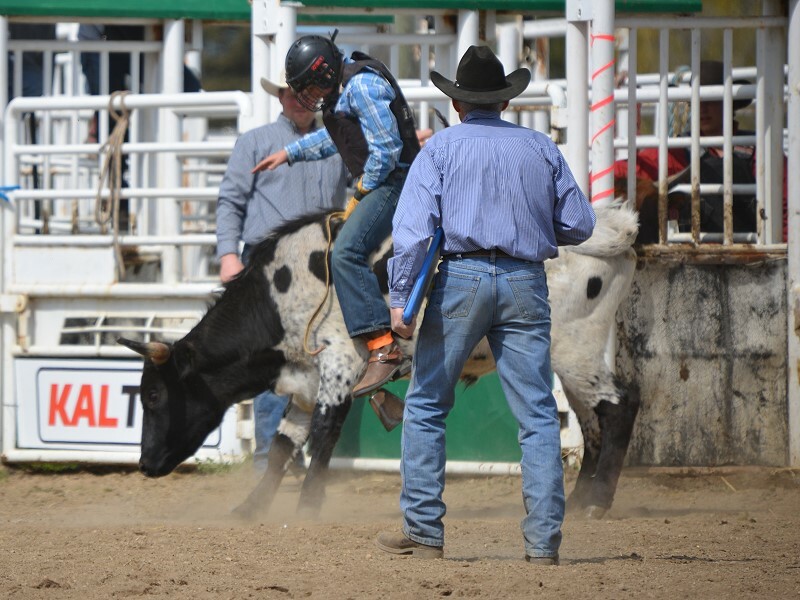 The committee was commented to many times about the amazing facilities that Swan River had to offer, the great rodeo grounds, the amazing pool, and all the shops & restaurants. 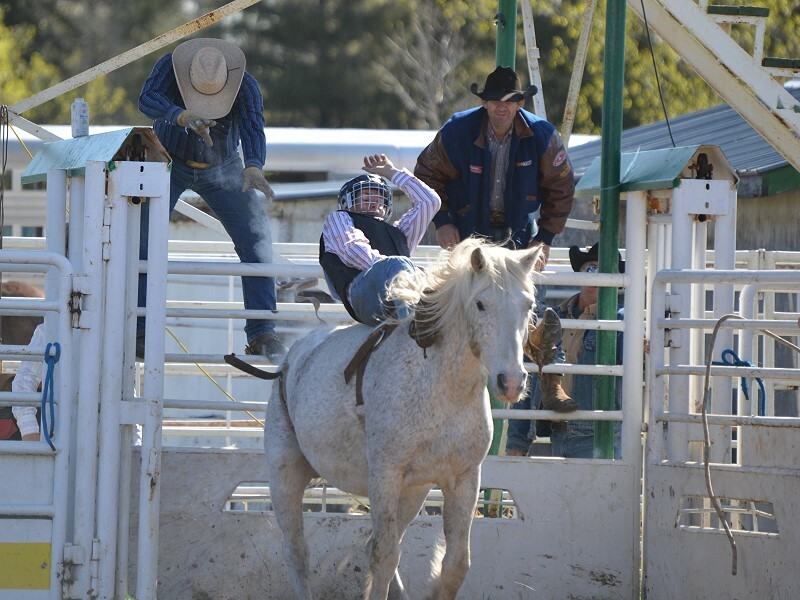 Contestants all left with at least one prize from the Swan Valley HS Rodeo and a desire to return next year to participate in one of the best rodeos of the year!